Remember how I have a conflicting love for books and trees? Well, Cúirt found a way to ease the guilt of buying so many books… by planting trees! The Author Tree Planting in Terryland Forest Park is meant to offset the festival’s carbon footprint and maybe make us all feel a little bit better about the way books are made. 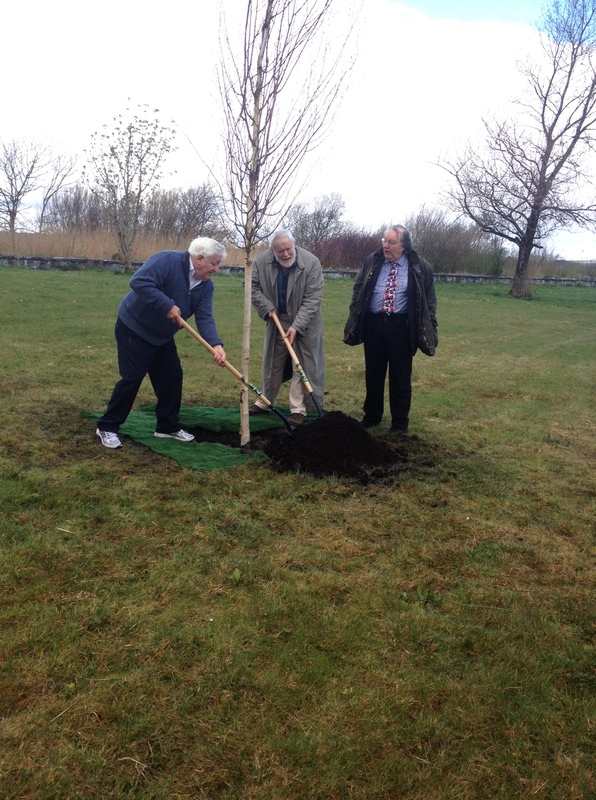 Author and musician Maidhc Danín Ò Sè, Poet Michael Longley, and Galway City Arts Officer James Harrold plant a tree.